If your Vauxhall Insignia DPF system is blocked or causing problems, we can de-activate it and remove it completely from the vehicle with no future problems guaranteed. Below we have written up an informative article for you, the owner.. so that we can help you make the right choice. The Vauxhall Insignia when released, came into the UK market at a high price of £25,000 and although we believe it was over priced, it did sell very well. 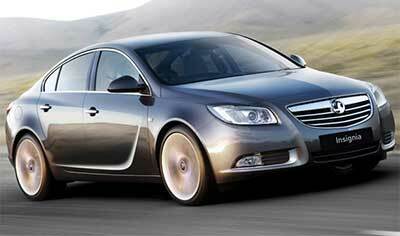 In fact, more than 30,000 Vauxhall Insignia’s were sold to fleets in just 18 months of being launched. It is a very well designed and practical car with plenty of engine power from the 2.0CDTi and spacious enough to be used for taxi’s as well – they are also very fuel efficient. We’ve done our research on this car because it’s one we were a bit particular about. We liked it a lot and couldn’t really find much else wrong with it. After doing our research, we found there aren’t any major common faults to worry about with this car – Other than the obvious Diesel Particulate Filter (DPF) – but once that’s removed, it is a great car to keep. Unfortunately there is the one major fault as with almost all modern diesel cars now days and that’s the issues with Blocked DPF’s (Diesel Particulate Filters). The Vauxhall Insignia DPF system is no different and is prone to getting blocked up which can of course lead to other problems in the future. The longer you leave the DPF unit blocked on your Vauxhall Insignia, the worse things become and the more costly the repairs get. If your Vauxhall Insignia DPF is blocked, you have a few options however obviously we only recommend a removal as it is by far the most inexpensive money saving option with a lifetime fix. You can have the DPF filter regenerated and although we can do this for you as well, we no longer offer this service because we consider it a waste of money. Once the filter is blocked up beyond the point where it can naturally regenerate, we feel it is pointless to forcefully regenerate the unit because the problem will not go away, it will eventually come back. You will either have to change your driving style to suit the DPF model Vauxhall Insignia or change the vehicle for a non-dpf model. You can fit a replacement filter to the vehicle and this will cure the problem but we only recommend new genuine parts, not second-hand used parts and not copy / aftermarket parts. They will not be manufactured to the same standards, regardless of whether or not they say OEM specification, they will not last as long as a genuine part. Of course, there is a massive price difference but we’ve had customers spend £300 on a copy part from parts suppliers and then 6 months later come to us asking us to offer a DPF removal because their first option wasn’t successful. The last option is one we recommend. If your Vauxhall Insignia 2.0CDTi DPF is blocked – we recommend having the entire DPF system professionally removed from the vehicle. Once you have your DPF Removed, not only will the problems be rectified for the life of the vehicle, you will not experience any more DPF related problems in the future (because it’s no longer existing) but you will also gain an increase in performance and fuel economy. 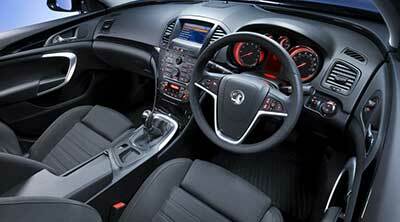 We offer a bespoke and completely custom 4-stage DPF removal session for all Vauxhall Insignia customers. This will consist of both the calibration of the vehicle electronics system to de-activate the DPF electronically and also remove the entire DPF physically from the vehicle as well. This will ensure no more fault codes, no more warning lights, no more loss of power and no more problems. When remapping the Vauxhall Insignia DPF out of the ECU, we do things manually – not with automated softwares. We will download the data from your Vauxhall Insignia Bosch ECU and manually scan through the 1000′s of data strings to remove & modify all DPF related data strings. Some of the data strings for the DPF system will be interlinked with other sensors such as EGT sensors (Exhaust Gas Temperature Sensors), EGR Valve (Exhaust Gas Recirculation), Lambda/o2/Oxygen Sensor and so on. Automated softwares will attempt to delete all data strings and by doing so, will delete partial sensor related data strings as well causing data corruption which may not always be apparent immediately after having the DPF removed. In fact, you may not realise there are problems for up to 250 miles until the ECU stores a permanent fault code and shuts down in to SAFE MODE (Limp Home Mode). We only offer DPF removals with a 100% success rate, a life time software warranty and a no-smoke guarantee thanks to our Smoke-Correction Service. To find out more about our smoke-correction service, please check out our smoke-correction article. Removing the DPF will not cause your vehicle to smoke excessively, we can guarantee this. It will not bring up any error messages and the car will not go into LIMP mode. Also, you will never experience any Regeneration messages where the ECU normally attempts to clean the DPF – this is because the DPF is no longer existing. 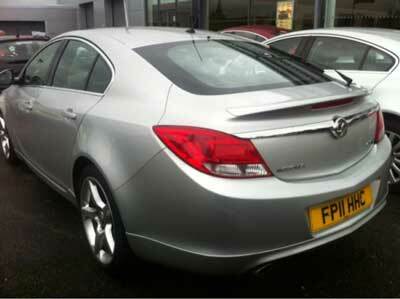 Tags : Help With Vauxhall Insignia 2.0CDTi DPF Problems, How To Remove Vauxhall Insignia 2.0CDTi DPF, Insignia DPF, Insignia DPF Problems, Insignia DPF Removals, Insignia DPF Repairs, Insignia DPF's, P2002 DPF Failure - Best Solution From Sinspeed, P2002 Fault Code Solution For Insignia By sinspeed, Removing Insignia DPF, Removing Vauxhall Insignia 2.0CDTi DPF, Replacement DPF For Vauxhall Insignia 2.0CDTi, Vauxhall Insignia 2.0CDTi De-DPF, Vauxhall Insignia 2.0CDTi DPF Failure Help, Vauxhall Insignia 2.0CDTi DPF Fix, Vauxhall Insignia 2.0CDTi DPF Fixed, Vauxhall Insignia 2.0CDTi DPF Help, Vauxhall Insignia 2.0CDTi DPF Off, Vauxhall Insignia 2.0CDTi DPF Problems, Vauxhall Insignia 2.0CDTi DPF Regen, Vauxhall Insignia 2.0CDTi DPF Regeneration, Vauxhall Insignia 2.0CDTi DPF Removal Mot, Vauxhall Insignia 2.0CDTi DPF Removal Procedure, Vauxhall Insignia 2.0CDTi DPF Removal Remap, Vauxhall Insignia 2.0CDTi DPF Removal Session, Vauxhall Insignia 2.0CDTi DPF Removal Solution, Vauxhall Insignia 2.0CDTi DPF Solution, Vauxhall Insignia 2.0CDTi DPF Solutions, Vauxhall Insignia 2.0CDTi P2002 Fault Code Fixed By Sinspeed. I have sent you an email with full information and pricing for our DPF Removal services offered in Carlisle. If you have any questions or would like to proceed with a booking, please reply to the email and we’ll be happy to assist you.